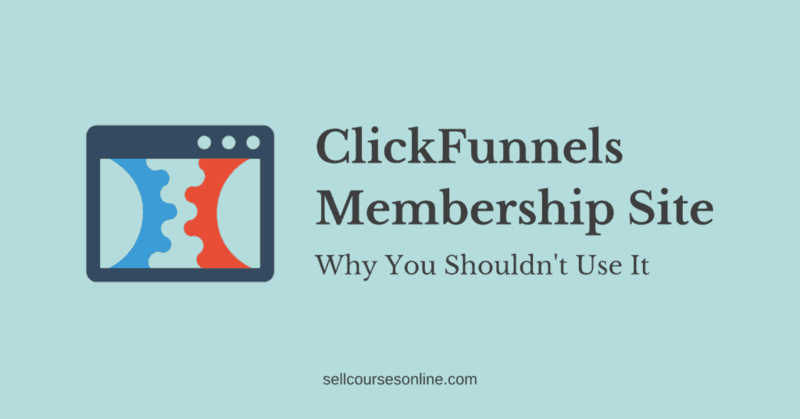 Home » Blog » ClickFunnels Membership Site: Why You Shouldn’t Use It? If you have some experience with online marketing, you would have heard about ClickFunnels. ClickFunnels aims to be that all-in-one solution for creating and running your online business. It lets you build sales funnels, create email marketing campaigns, run an affiliate program as well as create a membership site to deliver your online courses and other content. However, what we’re going to discuss mostly in this article is ClickFunnels membership site. There are many ClickFunnels reviews across the internet that will tell you how it is a great option for creating your online courses and membership sites. In fact I don’t recommend that you create your online course or your membership site on the ClickFunnels platform. Let me explain why and then at the end, I will also share some alternatives. Progress tracking is one of the most important features of any online course solution. However, ClickFunnels doesn’t let you track your users progress. As a course creator, one of the most important metrics to track is the course completion rate which is not possible if you’re using ClickFunnels. See this sample course completion report in ​Kajabi. Also, you won’t be able to send a completion certificate or send a congratulations email or even send a reminder for completing lessons/modules if you can't track user progress. Another major disadvantage of not tracking user progress is that ClickFunnels can’t remember where a user left off and thus can’t automatically let them pick up from there. This is one of the major drawbacks of the ClickFunnels membership site. The overall user experience is far from being good and is worst on mobile. The first issue is that the payment process and the registration process are not fully integrated. So, a user purchases a course in the first step and then registers for the course. ClickFunnels matches the registration email with the purchase email and if the two match, the user can access the course. You'll always have some users who buy using one email and register using another email and can thus face access issues. Another issue that we discussed previously is that ClickFunnels doesn't allow users to automatically pick up from where they left off. You can also not link to individual lessons/modules within your online courses. So if you're dripping your course or want to send an announcement about new content being available, there is no way to directly link to the specific lesson/module. 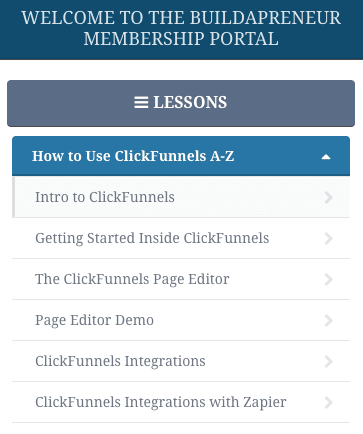 If a user takes your online course on mobile, the user sees this expanded course navigation and needs to scroll down to the bottom in order to watch the actual content which makes ClickFunnels membership site not mobile friendly. If you plan to sell a monthly subscription using ClickFunnels, you should be aware of this drawback. ClickFunnels doesn't let users manage/cancel their subscription. So, if a user needs to cancel their subscription, they need to reach out to you via email and then you will cancel their subscription in your Stripe account. Plus, there is no way for users to update or change their payment details and you'll need to use a third party solution like Stunning (integrates with Stripe) to let your users do that. This means unnecessary admin work as well as bad user experience which is avoided if you're using a platform like Teachable or Kajabi. #4: It lacks essential features like quizzes, user discussions etc. Online courses are more than just a bunch of videos. Based on the nature of your course, you’ll require to use quizzes, facilitate user discussions, send certificates etc. 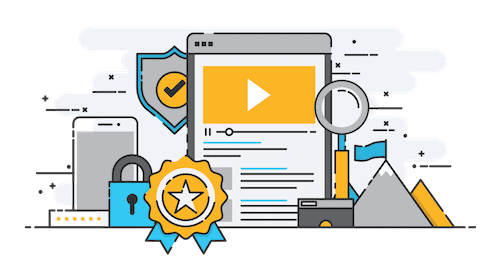 ClickFunnels membership site features don’t include the ability to either create quizzes or send certificates to your students and this can be a deal breaker for many of you. It also doesn’t have a native system for user discussions so that the users can engage with each other and with the instructor, ask questions and get feedback. Most people who use ClickFunnels for their online courses use Facebook Groups as discussion forums for their members. While ClickFunnels does allow you to host smaller files (up to 3 MB) like Word Docs, Pdfs etc., it doesn’t let you host your video or your audio files on the platform and use them directly in your online courses. In order to use videos in your online courses, you will need to buy a paid subscription to a service like Vimeo, Wistia or Amazon S3. Now, this doesn’t just mean that you incur an additional cost, but the process of adding videos to your members area isn’t as straightforward or simple. Plus, content management becomes a real challenge if you have a large number of files hosted elsewhere. If you compare this with other other popular online course platforms like Kajabi or Teachable, they include unlimited video hosting via Wistia as part of their subscription plans. ClickFunnels doesn't allow you to create a centralized dashboard for all your online courses. Every online course will have a separate login and registration page and your users will require to create multiple logins in order to enroll in multiple courses. ClickFunnels also doesn't store members' card information and so your users will need to enter their card information each time (except in case of immediate upsells) they want to purchase a course from you. If you compare this to a platform like Kajabi, they have a single registration page for your members area and your users need to create an account and enter their payment details only once. Improving their membership site's capability is certainly not one of ClickFunnels priorities. While ClickFunnels has upgraded its sales funnel builder and the marketing automation platform (Actionetics) in a big way in past few years, they haven't released any major updates or improvements to their membership site builder in a long time. Compare this to any good online course solution and you'll find that they would have released at least 10x more upgrades compared to ClickFunnels. To sum up, ClickFunnels doesn’t perform a good job at all when it comes to creating online courses or a membership site. It’s badly designed from a user experience perspective, lacks essential features and hasn't been improving/upgrading the membership builder. So, what should you use to create an online course or membership site? I'll discuss some of the alternatives to ClickFunnels membership site in the next section. However, if you don't have time to read the details, you can take this short quiz that will help you find the right online course platform for you quickly. What Online Course Platform Should I Use? 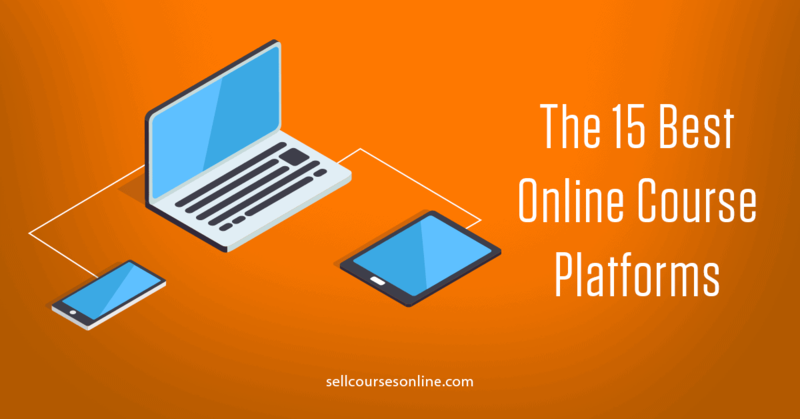 Are you struggling to choose the right online course platform for your business? Do you feel confused about all the options out there? Just answer a handful of questions and we'll tell you which one is right for you. Kajabi is an all-in-one solution for creating and selling online courses. As an online course platform, Kajabi does a great job. It offers ability to add multiple multiple content types including videos to your course, professional design for the course player, assessments and surveys, automation, site announcements etc. which will help you create a great learning experience for students. 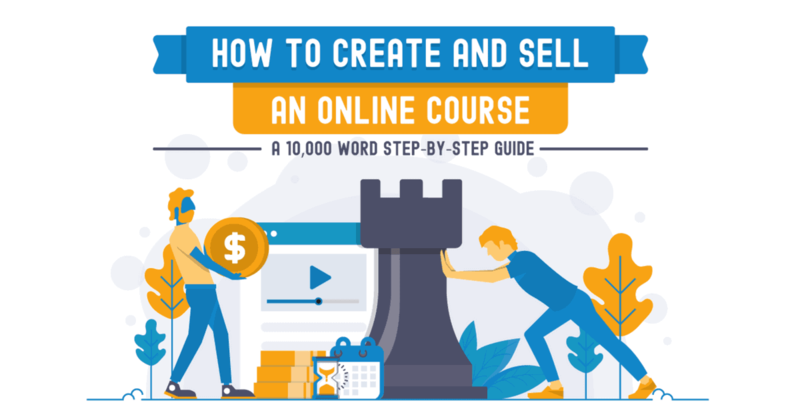 In addition, you can create a fully-fledged website, build sales funnels, create email marketing campaigns and even run a blog which makes it an ideal platform for you if you want to run your entire online course business from a single place. As far as pricing is concerned, the pricing starts at $149/month and their most popular plan costs $199/month and so, Kajabi is the not the cheapest online course solution out there. That being said, Kajabi is the most feature-rich online course platform and for everything that it has to offer, it is really worth the price. If you want to explore the platform in more detail, you can check this Kajabi review or if you want to give it a try, you can start a free trial by clicking on the button below. ​Teachable is the most popular online course platform out there which, unlike Kajabi, is focused on offering core features for creating and selling online courses. Teachable allows you to build your course website, host your course content & videos, create your online courses and deliver them in an engaging way. Teachable has native capability for progress tracking, quizzes, user discussions and it also allows users to manage their subscription and payment details from the members area. Teachable also has powerful sales & marketing capabilities. It has a highly optimized checkout process, allows you to offer subscriptions and payment plans and has other handy features like Coupons and Bundles. Teachable is very reasonably priced and is great for just about any course creator. You can either create a free account on Teachable or you can sign up for of one of their paid plans (starting at $39/mo). 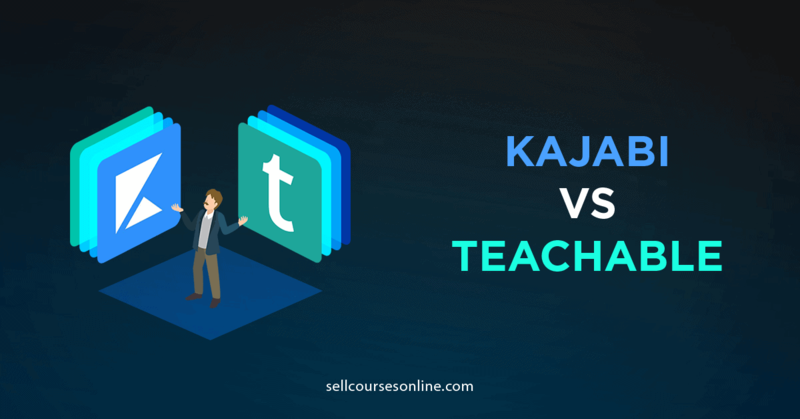 You can read this Teachable review guide if you want to see a complete breakdown of the platform or you can check this Kajabi vs Teachable guide if you want to compare it with Kajabi. Thinkific is another popular online course platform that is very similar to Teachable in terms of features and pricing. Like Teachable, Thinkific also allows you to host your videos, create courses easily, sell the courses in a variety of ways, as well as engage your students with quizzes and discussions. 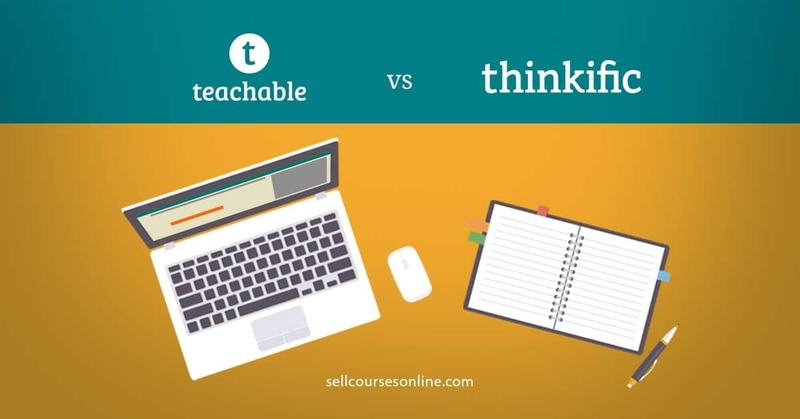 While Thinkific has better site building capabilities than Teachable, Teachable has a very well designed course player and has much better sales & marketing capabilities. When it comes to pricing, Thinkific is reasonably priced as well. You can start with their free plan and then upgrade as required. The Basic Plan costs $49/month and the PRO Plan costs $99/month. If you want to see an in-depth overview of the platform, you should read this Thinkific review. ClickFunnels is one of the most popular as well as powerful online marketing tools. While it does a great job at building sales funnels and landing pages, its membership site builder is very limited. As discussed previously, the end user experience is far from good and it lacks many essential features like progress tracking, quizzes, user discussion etc. which makes ClickFunnels less suitable for delivering online programs. So, I don't recommend using ClickFunnels to build your online course/membership site. You should rather consider using an online course platform like Kajabi, Teachable, or Thinkific. Option #1: If you like keeping things simple and want to have everything on the same platform, you should use Kajabi for hosting your courses as well as building your marketing funnels. Option #2: If you plan to or you already use ClickFunnels or some other tool for building your funnels, you should use Teachable or Thinkific for hosting and delivering your courses. This is the approach that a lot of top course creators like Julie Stoian take for their online course business. Please leave a comment below if you have any questions about ClickFunnels membership site or any of these solutions. Disclaimer: I am using affiliate links within this post, so if you do want to go purchase any of these solutions, clicking a link will pass me off a little commission (without costing you anything extra)!